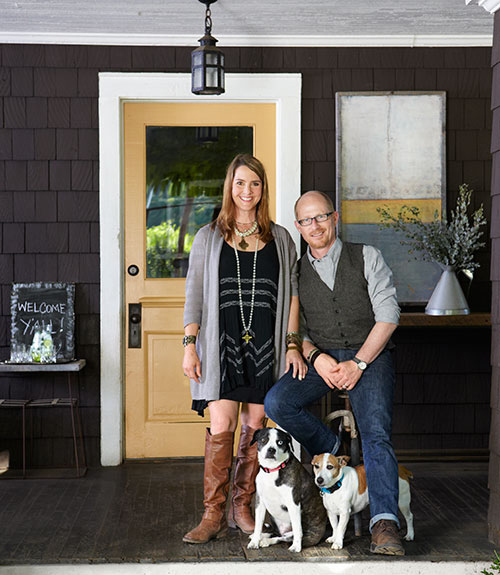 Ever since I met Interior Stylist, Susan Chancey of Lost and Foundry in Asheville, I've had the thought, "I wonder what her home looks like. I bet it's amazing..."
Turns out I was right. 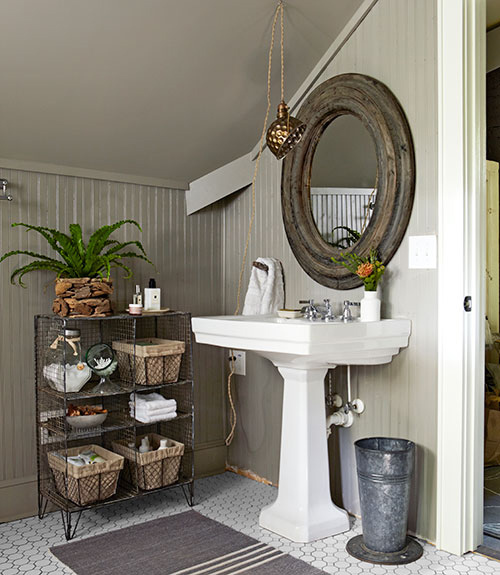 Susan and her husband, Guy recently had their home photographed by Country Living and I was thrilled to see the final shots. 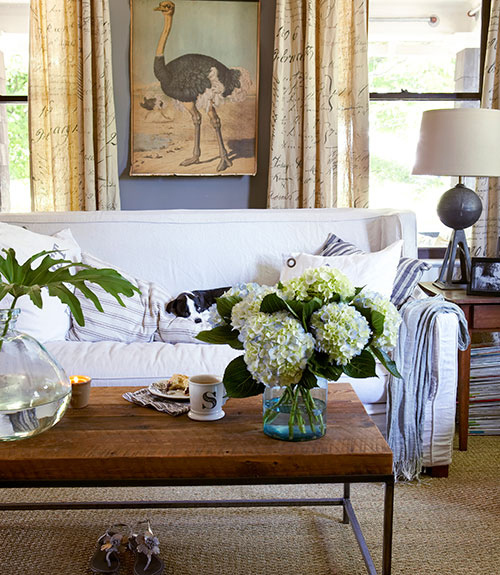 In her living room, she sought a calming vibe but, in her characteristic way, she wanted to keep things interesting. Her table lamp is actually a steel lamp base forged from a car jack and her coffee table was handcrafted by Amish carpenters in Pennsylvania. Like typical Southerners, Susan and Guy love to entertain. Their dining room is such a great space. I love the two rugs that flank the sides of the table, which I don't think I ever would have thought of. The Mid-century inspired chairs and light (influenced by an 1800's surgical light) were designed by Susan's friend, Robert Ogden. Ahhhh...if only my home could be half as inspiring as this one, I'd be a happy gal. But the best part is, we've all been let in the front door and can leave with a bit of inspiration and admiration. And maybe jealousy... 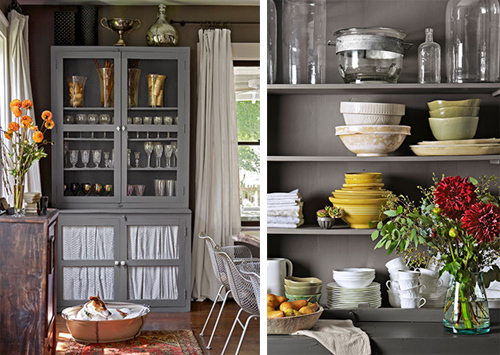 Learn more details about Susan and Guy's incredible southern home, here. 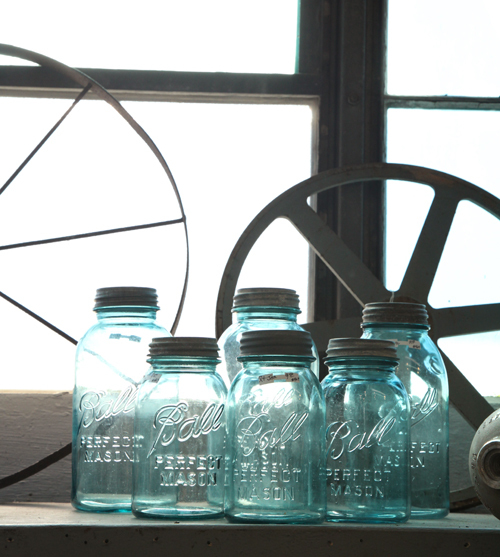 I travel to Asheville a few times a year and even if I just have one free hour, I always love to check in with the antique and home decor shop, Screen Door. 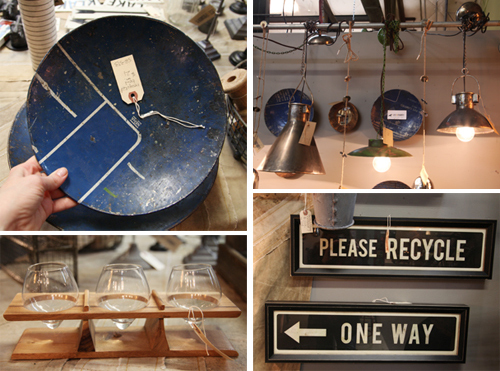 Inside, they have 25,000 square feet of space with scrumptiously good finds to peruse. 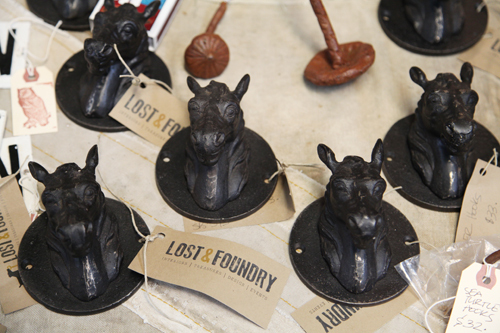 My personal favorite vendor (of the 100+ inside) is Susan Chancey of Lost & Foundry. 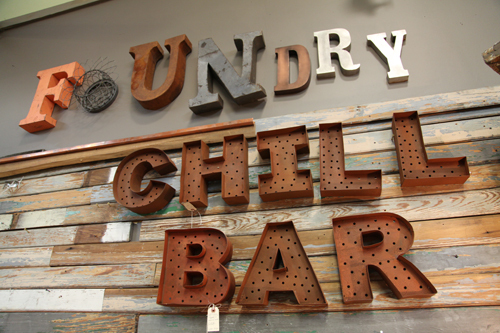 Her section always has such fun, unusual items you'd want in your own home. I especially loved her windowsill herb holder at $52. Susan also carries these unique red and white numbered vases ($25) and this wire wine rack I really love, which can be affixed to the wall ($70). The best part about Screen Door is just how much you have to choose from. 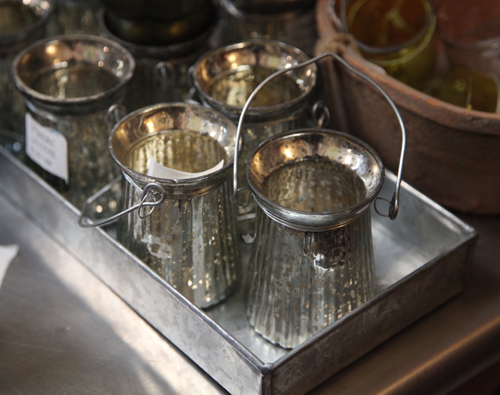 Every vendor offers something special, catering to various tastes and interests. 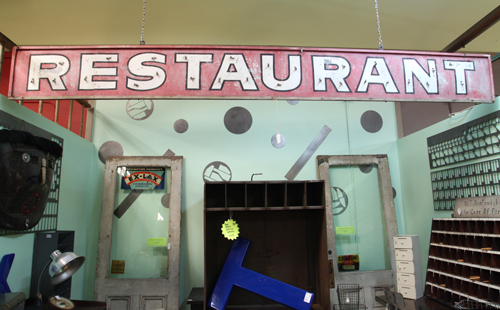 This vintage restaurant sign would be amazing in the right cafe and at $345, it's a pretty good deal. In this booth I found a bevy of pretty papers that sell for $8 each. 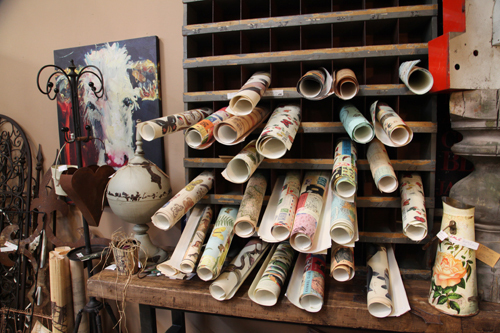 Framed or affixed with washi tape, they quickly become cool and interesting artwork. 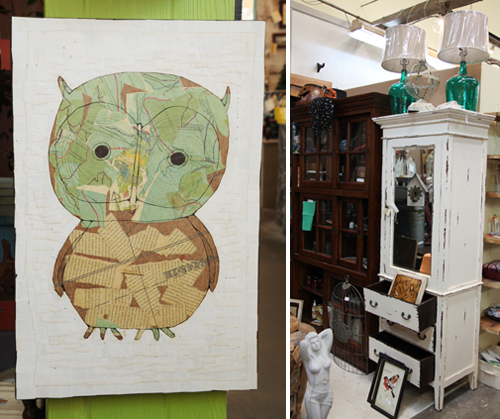 I think my favorite find of the day was this collage owl art piece, selling for $300.